Want to build a DIY quilt ladder?. In the video below, I show you how easy it is to build a DIY blanket ladder. This adds a beautiful touch to any room, while letting you display your quilts. Check the link below to some beautiful quilts if you don't have any or if you need to pick one up to fill the rack. This blanket rack holds 4 quilts or blankets. This quilt rack is easy to build and only takes two, 10 foot 1x4 boards and some screws (I used a pocket hole jig and 1 1/4" pocket hole screws, links below). That's it! Having extra storage or a way to display quilts is a great thing to have. We displayed our home made quilts with this rack. 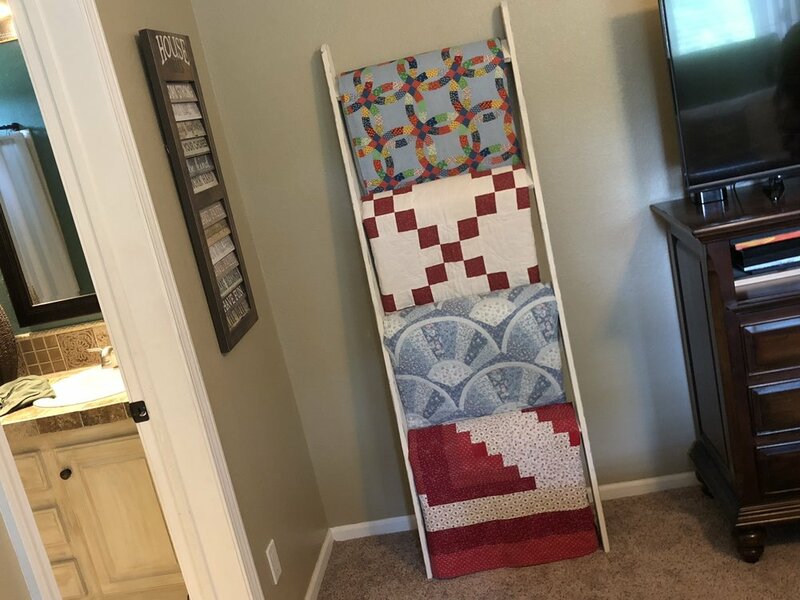 This blanket ladder keeps them easily accessible, and proudly displays our family made quilts. 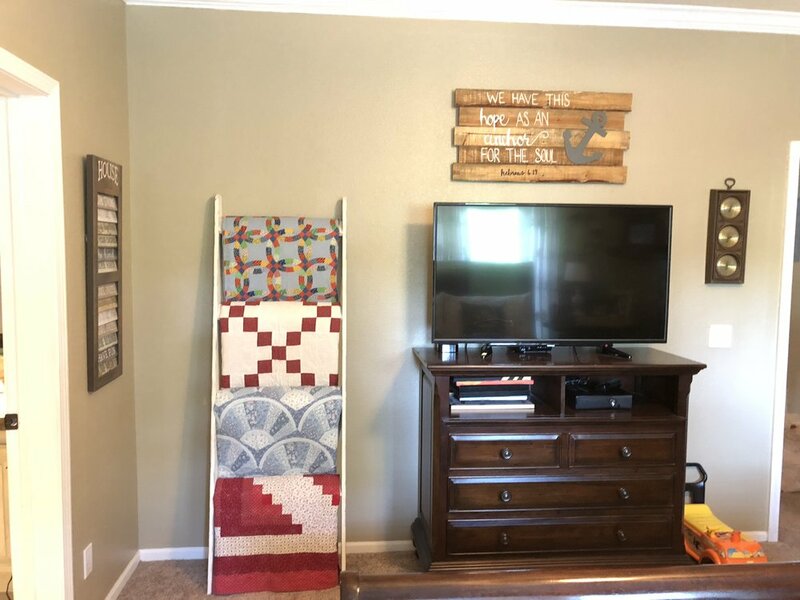 We distressed our quilt rack to make it more of a farmhouse style quilt rack. Farmhouse style blanket ladder plans. Use this video guide for the quilt rack plans. Check out the supplies and tools used in this build below. Affiliate links in this description.